Highways England would like to hear your views on the Lower Thames Crossing, a proposed new motorway connecting Kent, Thurrock and Essex through a tunnel beneath the River Thames. This will provide much needed road capacity across the River Thames east of London, and transform journeys through the South East region and beyond. The 14.5 mile route connecting Gravesham in Kent and Thurrock in Essex would create a new, three-lane dual carriageway connecting the M2 near Rochester and the M25 in Essex between North and South Ockendon. It would include a 2.4 mile-long tunnel under the Thames between Gravesend and Tilbury – the longest road tunnel in the UK – and, at over 50 feet wide, the third largest bored tunnel in the world. 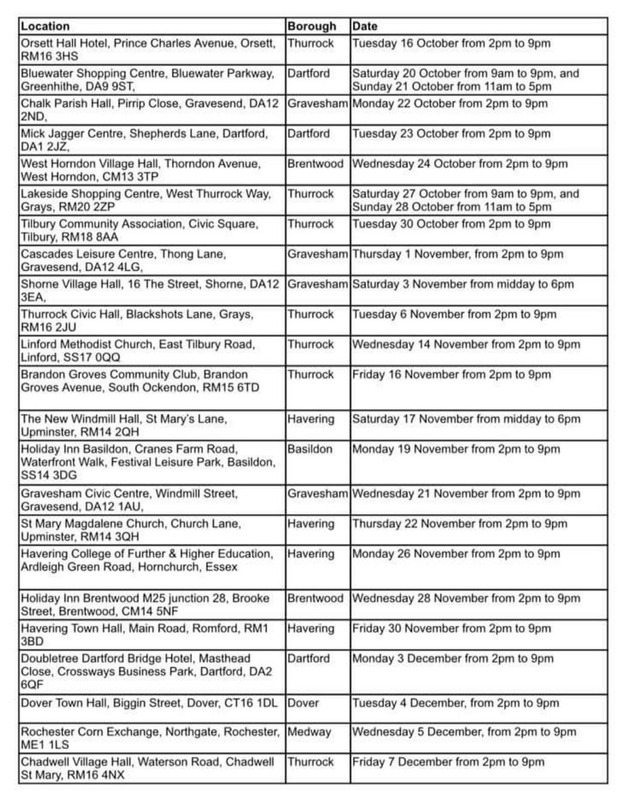 The Consultation will be open for 10 weeks and closes on the 20th December 2018. For all other events across the Region, please see the attached file.